Featuring original stories by a long roster of comic superstars such as Scott Snyder (Batman, American Vampire), Gail Simone (Batgirl), Michael Avon Oeming (Powers), Paolo Rivera (Daredevil, Amazing Spider-Man), Cameron Stewart (Fight Club 2, Batgirl) and Faith Erin Hicks (The Adventures of Superhero Girl)! 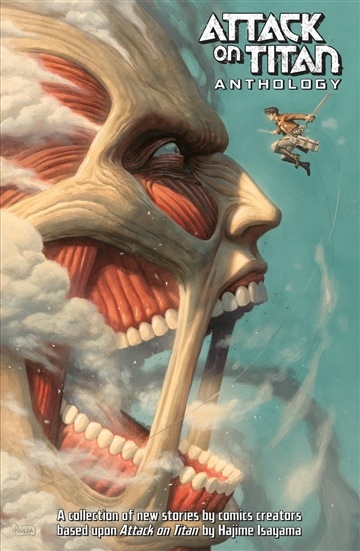 This unprecedented, full-color collaboration between East and West will be released first in English, making it indispensable for Attack on Titan fans and curious comic fans. Rated Older Teen – Ages 16 and up. Kodansha Comics, world's leading manga publisher. Official manga release info and previews for Attack on Titan, Sailor Moon, Fairy Tail, Noragami and more.